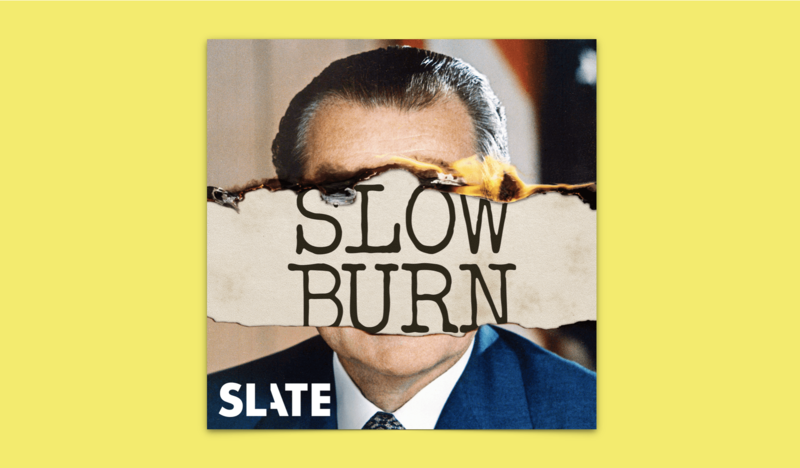 The first episode of Slow Burn opens with the statement, “I’m going to start with a story you’ve probably never heard.” For a podcast about Watergate, what the host calls “the greatest American political scandal of the 20th century,” this feels like a difficult task. Richard Nixon and the Watergate scandal hold a near mythic status in American political history as the high-bar of corruption and government malfeasance. Even if you don’t know much about politics, you know something about Watergate. And for those interested enough in politics to listen to a podcast about Watergate, you probably know more. Yet over the course of Slow Burn, the show’s host, Leon Neyfakh, demonstrates not only how much of the Watergate story is misunderstood but has simply been left out of the official history. In his introduction, Neyfakh describes the animating question for the series as: “What was [Watergate] like for everyone else?” For everyone who wasn’t Richard Nixon, one of his top aides, a Senator involved in the investigation, or Woodward and Bernstein, what was it like to experience Watergate as it unfolded? Neyfakh first answers this question by detailing Watergate’s smaller stories, the events that were in the news in 1972 but have since faded from our collective memory. Here, the series is superb, and the first episodes are filled with engaging stories that will be unfamiliar to most listeners. The premiere episode, “Martha,” revolves around Martha Mitchell, wife of John Mitchell, the man in charge of the committee to reelect Richard Nixon in 1972. The episode depicts Martha as the talkative and proactive wife of an influential Washington insider, and Martha’s tendency to insert herself into politics is initially framed in a comic light. An audio clip from the NBC show “Rowan & Martin’s Laugh-In” includes a scene where Martha is presented with a fake prize from a telephone company in the shape of the Supreme Court for her phone calls about politics, which has given the company so much business. But Martha was an interested and active participant in her husband’s political career, and the show portrays her as such. When the Watergate burglars were arrested, Martha knew one of the burglars personally. Her husband went to extreme lengths to prevent Martha from learning about the event or talking to the press, and he assigned an FBI agent to keep her away from any news source. When that failed, the FBI agent locked Martha in her room and helped sedate her against her will. The episode is equal parts comic and dramatic, and is engaging from start to finish. The second episode tells the tale of Congressman Wright Patman’s fruitless inquiry into Watergate. While it lacks the first episode’s action scenes, Neyfakh makes it equally engrossing. And on the show’s fourth episode, on the Senate Watergate Committee, Neyfakh takes on the perspective of the committee’s young analysts as well its outside spectators. Through these lesser-told stories Slow Burn does an excellent job of answering Neyfakh’s initial question, illustrating what Watergate felt like as it unfolded. Each episode features actual news reports and broadcasts from the time. The show is filled with the uncertainty and anxious anticipation that some damning revelation is always around the corner. The other focus of Neyfakh’s overarching question is a comparison with today’s political climate. In the first episode he asks, “What was it like to experience [Watergate] in real time…Would we know if it’s happening today?” Neyfakh is interested in learning about Watergate to gain insight into our current political turmoil. By the end of the series he wants to know, if we were experiencing our own Watergate, would we know it? Slow Burn is less successful in making this comparison. Although it’s true that many eagerly await the news each day to see if the Trump administration will be charged with some heinous crime, it’s also true that, at this point, it has not been. I make no defense of our racist, bigoted, hate-mongering president, but Slow Burn takes the alleged guilt of President Trump for granted, making the analogy of the Trump administration to Nixon’s feel lazy. There’s so much to criticize Donald Trump for, that it’s frustrating to hear the heavy-handed and unclear connections Neyfakh draws between these two administrations. This connection is not worth making. He goes on to say “there are dozens of Scaramucci-level stories about Watergate.” Even within the context of the episode, it’s unclear what he means. If Neyfakh is referring to public political figures or stories that have meteoric arcs in and out of the public eye, that’s a phenomenon that exists to some extent in every presidential administration and it is not indicative of corruption. If he is trying to make a more pointed connection between Anthony Scaramucci and government malpractice, it is vague as to how. That said, many of Neyfakh’s observations about the role of the media during the Watergate Scandal do make compelling connections with the present. The most interesting comparison comes in the fifth episode, “True Believers,” when Neyfakh explores the role of “fake news” during the Watergate era. The parallels between the early 70’s and the present are frightening. During these moments, the show’s animating question, “Would we know if we were in our own Watergate?” feels far more serious. Despite his sometimes forced analogies, Neyfakh’s sense of urgency and anxiety towards the news during Watergate really does mirror our current political climate. In that respect, Slow Burn’s comparison is a welcome and relevant revelation.